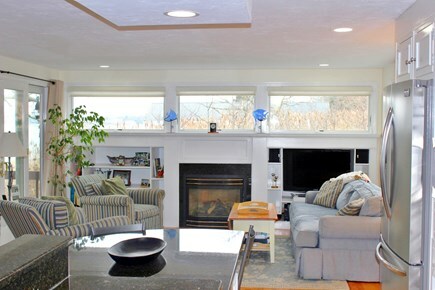 First floor suite with queen, TV, full bathroom and WATER VIEWS! Dock Your Boat Here! 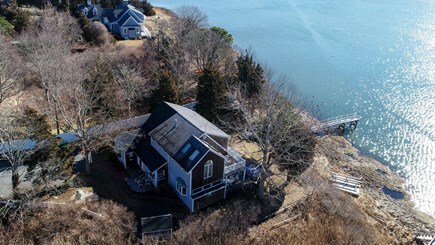 This gorgeous property is located right on the water with its own dock. Don't let the address discourage you. The house is set off the road and on the water making you feel like you are at your own water front resort. 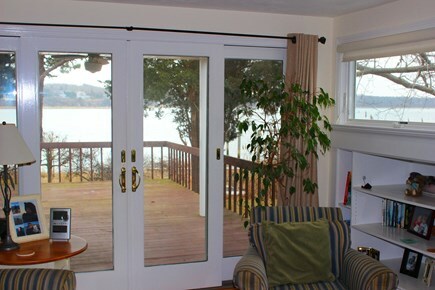 There are fantastic water views from each of the 4 spacious suites. 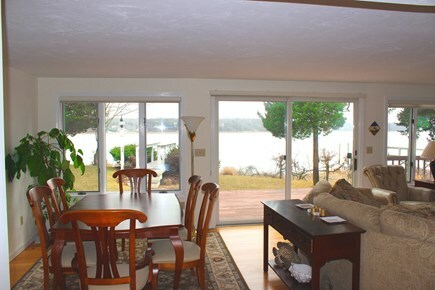 There are water views from the kitchen, each of the 2 living areas, dining area, deck, porch and upper deck. 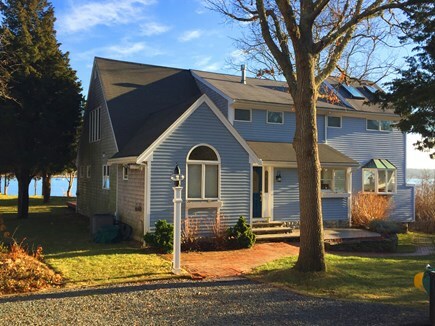 I can't express enough - WATER VIEWS & DOCK! Two Kayaks are at the property for your use at your own risk. 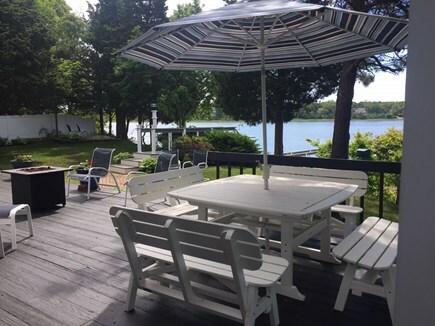 Bring or rent paddle boards or boat and keep it right on the great dock. 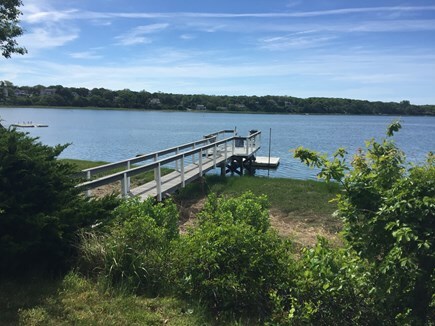 Launch your boat at one of the town landings and dock it at your own dock during your stay here. There is 1 tandem and 1 single kayak to use at the property and to be used at your own risk. There are also at least 4 beach chairs. 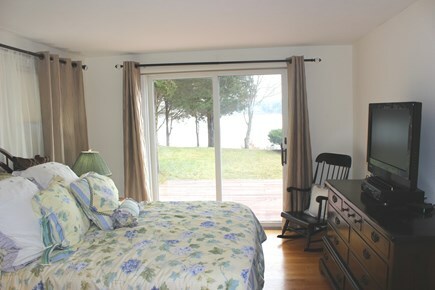 There are water views from every bed in the house. 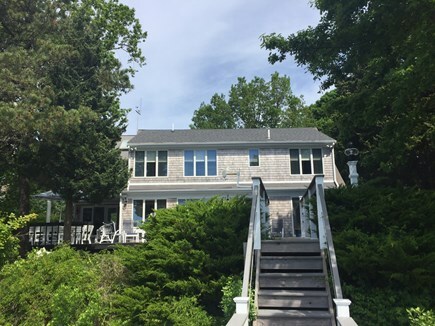 The first floor master suite has a queen bed, flat screen TV, slider to the deck with gorgeous water views and a full bathroom. 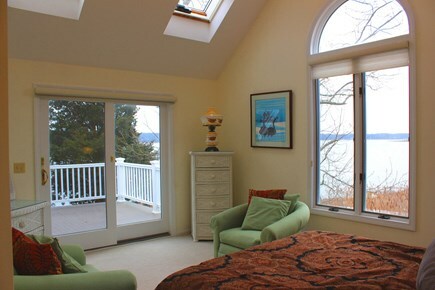 There are 3 suites on the 2nd floor - all with stunning water views, queen beds, and plenty of space. 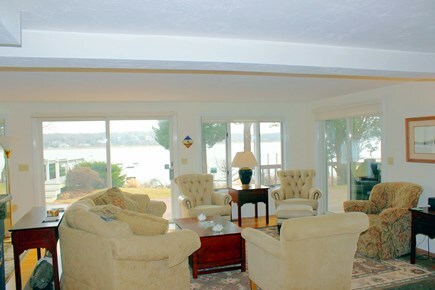 One of them has vaulted ceilings with its own deck overlooking the sparkling waters of the Town Cove. One of the 2nd floor suites has a soaking, jetted tub in the full bathroom. Another suite on the second floor has a pull out sofa for additional sleeping. 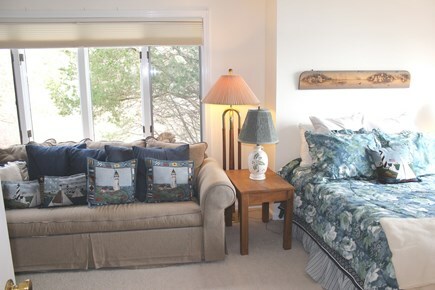 Each of the 4 bedroom suites is like a nice suite you might get at a waterfront hotel. 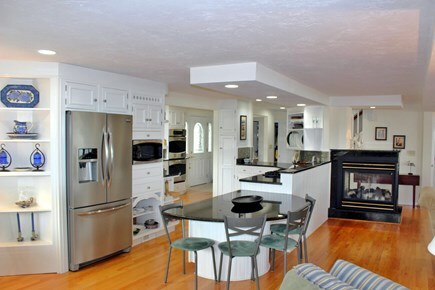 There is central A/C throughout, a gorgeous kitchen with gas stove, stainless steal appliances, cooking / serving utensils, dishwasher and, yes, water views from the kitchen. 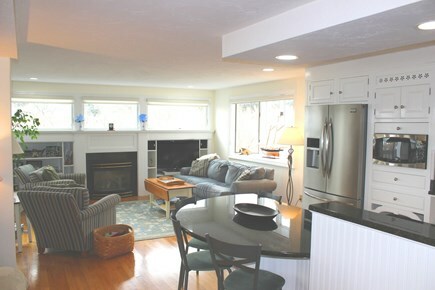 There is a separate laundry room with washer / dryer and half bath of the entry area. Additional pricing info: Admin Fee: $155 Cleaning: Included, State and local taxes of 12.45% will apply.